If you’re looking for a concert to attend this Sunday and want to shift into classical mode, you’re in luck because two concerts in the area can fill the bill. On April 24, Delphi Opera will present Ruggiero Leoncavallo’s signature verismo masterpiece “Pagliacci” at Padua Academy’s Roberto Hall (905 North Broom Street Wilmington, Delaware, 302-384-8075, http://www.delphiopera.com). “We chose to do ‘Pagliacci’ because it is one of the great masterpieces,” said Delphi Opera founder Eve Edwards during a phone interview this week. “And, it bears relevance to our sponsors — the Wilmington Friends of Italian Culture and the Da Vinci Society. ‘Pagliacci’ takes place in the south of Italy. Commedia dell’arte is a form of theatre characterized by masked “types” which began in Italy in the 16th century. In opera, verismo (which means “realism” in Italian) was a post-Romantic operatic tradition associated with Italian composers such as Giacomo Puccini, Pietro Mascagni, Ruggero Leoncavallo and Umberto Giordano. “I particularly love verismo repertoire,” said Edwards. “It connects with opera fans — and with people new to opera. It’s more visceral than other styles of opera and that’s why it connects with audiences. The first act and the second act mirror each other. It’s a very interesting construction of a story. Three years ago, Delphi Opera produced its first opera — “La Boheme” — and followed with “Madame Butterfly” in 2014 and “La Traviata” last year. “We’re doing the complete ‘Pagliacci’ — two acts,” said Edwards. “It’s a brief opera — one hour and 15 minutes. In the past, we’ve done operas that were abridged slightly. The first three were all longer operas and we had to make judicious cuts. It broke my heart. “This one doesn’t have to be changed. It’s preceded by a 50-minute concert of Italian music. Jerry Kalstein will present a pre-opera mini-talk and will also be doing narration between the acts. We want to educate audiences about opera. This is a high quality performance with wonderful singers and musicians. Leoncavallo claimed that he based the story of “Pagliacci” on an incident from his childhood — a murder in 1865, the victim of which was a Leoncavallo family servant, Gaetano Scavello. 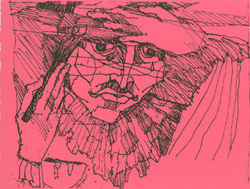 The murderer was Gaetano D’Alessandro, with his brother Luigi an accomplice to the crime. The incident resulted from a series of perceived romantic entanglements involving Scavello, Luigi D’Alessandro, and a village girl with whom both men were infatuated. Leoncavallo’s father, a judge, was the presiding magistrate over the criminal investigation. The Delphi Opera cast and directorial staff features Richard Nicosia (Canio/Pagliaccio), Eve Edwards (Nedda/Colombina), Todd E. Ranney (Tonio/Taddeo), Charles Schneider (Sylvio), and Clifford Bechtel (Beppe/Arlecchino), with additional featured concert artists, mezzo-soprano Andrea M. Arena, bass-baritone Edward Bogusz, and bass Daniel Glaudel, with Joseph Krupa (Music Director), Howard Zogott (Stage Director), and Jerry Kalstein (Narrator/Lecturer). Video link for Delphi Opera — https://youtu.be/okaS0sy8418. The performance at Padua is scheduled for April 24 at 2 p.m. The pre-opera mini-lecture will be held at 1:30 p.m. All tickets are $10. There will be another “classical” concert on April 24 featuring music from a different location inside the classical music genre. 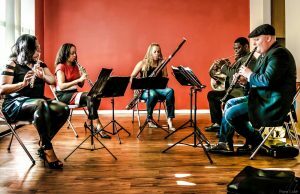 A blend of classical and jazz music will be featured when the Philadelphia Chamber Music Society presents Imani Winds in a matinee show at the Philadelphia Museum of Art (2600 Benjamin Franklin Pkwy, Philadelphia, 215-569-8080, www.pcmsconcerts.org). Imani Winds — Valerie Coleman, flute; Toyin Spellman-Diaz, oboe; Mark Dover, clarinet; Monica Ellis, bassoon; Jeff Scott, horn — has established itself as one of the most successful chamber music ensembles in the United States. Since 1997, the Grammy nominated quintet has taken a unique path, carving out a distinct presence in the classical music world with its dynamic playing, culturally poignant programming, adventurous collaborations, and inspirational outreach programs. With two member composers and a deep commitment to commissioning new work, the group is enriching the traditional wind quintet repertoire while meaningfully bridging European, American, African and Latin American traditions. “We’ve been together 18 years now,” said Ellis, during a phone interview Wednesday from her home in New York. “We found each other through our flute player Valerie. It was her idea to put together a woodwind quintet. Imani Winds’ touring schedule has taken them across the globe. At home, the group has performed in the nation’s major concert venues including Carnegie Hall, Lincoln Center, Kennedy Center, Disney Hall, and Kimmel Center. The group is frequently engaged by the premier chamber music series in Boston, San Francisco, Portland, Philadelphia and New York, and has also played virtually every major university performing arts series. Festivals include Chamber Music Northwest, Santa Fe Chamber Music Festival, La Jolla Music Society, Virginia Arts Festival, Bravo! Colorado, and Ravinia Festival. In recent seasons, the group has traveled extensively internationally, with tours in China, Singapore, Brazil, and throughout Europe. Recent season highlights include debuts at La Folle Journee in Nantes, France, and in London’s Wigmore Hall. In 2015 they also debuted at Paris Jazz Festival and were featured at the Huntington Estate Festival in Australia. The group continues its Legacy Commissioning Project, in which the ensemble is commissioning, premiering and touring new works for woodwind quintet written by established and emerging composers of diverse musical backgrounds. The Legacy Project kicked off in 2008 with world premieres by Alvin Singleton and Roberto Sierra. Since then, projects have included works by Jason Moran, Stefon Harris, Danilo Perez, Simon Shaheen, and Mohammed Fairouz. The group’s fifth album on E1 Music — titled “Terra Incognita” after Wayne Shorter’s piece written for the group — is a celebration of the Legacy project with new works written for Imani Winds by Shorter, Jason Moran, and Paquito D’Rivera. The group’s program at the Art Museum will include a piece by D’Rivera — “A Farewell Mambo.” Other numbers include “Red Clay and Mississippi Delta” (Valerie Coleman), “Scheherazade” (Rimsky-Korsakov arr. by Jonathan Russell), “Contrabajissimo” (Astor Piazolla arr. by Jeff Scott), “Six Pieces for Wind Quintet” (Anders Hillborg), and “Dance Mediterranea” (Simon Shaheen arr. Jeff Scott). The show at the Philadelphia Museum af Art will start at 3 p.m. Tickets are $20, $18 for seniors over 65, $10 for students with ID and $5 for children under 12. Warm weather is here and so is the arrival of Celtgrass. But, you won’t find Celtgrass on area lawns. Celtgrass is a term used to describe the music of We Banjo 3, an award-winning traditional Irish music quartet. On April 25, We Banjo 3 visit the area for a concert at the Sellersville Theater (24 West Temple Avenue, Sellersville, 215-257-5808, www.st94.com). We Banjo 3 feature a seven-time All Ireland fiddle champion and another All Ireland champion on fiddle and bodhran. The band’s debut album “Roots Of The Banjo Tree” was named “Traditional Album Of The Year” by The Irish Times and their most recent studio release “Gather The Good” picked up four “Album Of The Year” awards. 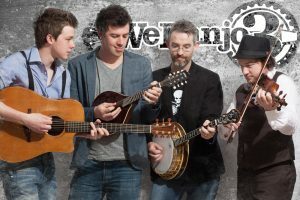 We Banjo 3 blends traditional Irish Music with Americana and Bluegrass to create its hybrid style known as “Celtgrass.” Featuring banjo, fiddle, mandolin, guitar, vocals and percussion, We Banjo 3 make a bold and extraordinary musical statement. Modern rhythms, traditional melodies, virtuosic technique and innovative arrangements of music and song add up to a blazing live show. The band includes two sets of brothers, Enda and Fergal Scahill and Martin and David Howley, Collectively they are among the most celebrated and distinguished musicians in Ireland today. They have been at the forefront of Irish banjo and fiddle for more than 20 years. Martin Howley is a seven-time “All Ireland” Banjo champion while Enda Scahill, who is also an author on Irish banjo techniques, holds four. Multi-instrumentalist Fergal Scahill is one of the most acclaimed fiddlers in Irish music and an “All Ireland” champion on fiddle and bodhran. Multi-instrumentalist David Howley is the group’s vocalist and also provides the band with its rhythm section. “Me and my brother, we grew up in southern Galway — in Ardrahan,” said David Howley, during a recent phone interview from a tour stop in Sacramento, California. “The two Scahill brothers grew up in east Galway — in Corofin. “We got to be great friends over a number of years. “Our paths crossed a number of times a while back. They played a show at Siansa (National Concert Hall in Dublin) and we were mesmerized by their playing. Over time, we met each other at clubs and competitions. “One year, I was playing guitar in a competition that had three rounds. In the first round, I had Martin play banjo with me. In the second round, I had Enda play banjo with me because Martin had gone on holiday. In the third round, which was the finals, I asked both Enda and Fergal to play with me. So, the four talented musicians continue to play together — and to expand the scope of their music beyond the shores of the Emerald Isle. In 2012, We Banjo 3 released its debut album “Roots of the Banjo Tree” and followed with “Gather the Good” in 2014 and “Live in Galway” in 2015. The rest is Celtgrass history. Video link for We Banjo 3 — https://youtu.be/wMnTMJEC2l4. The show at the Sellersville Theater, which also features poor Man’s Gambit, will start at 8 p.m. Tickets are $19.50 and $29.50. Another concert on April 25 will feature bands from the opposite end of the popular music spectrum. Heavy metal rockers Night Demon and Visigoth will share the bill at Kung Fu Necktie (1248 North Front Street, Philadelphia, 215-291-4919, kungfunecktie.com). Southern California’s Night Demon recently announced that the band was embarking on the first leg of the “Final Curse Tour” alongside Metal Blade recording artists Visigoth. 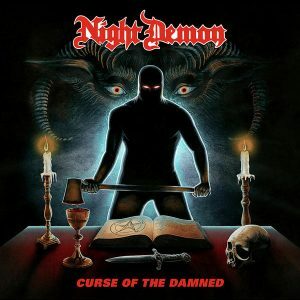 Night Demon, which features Jarvis Leatherby, Dusty Squires and Armand John Anthony, is touring in support of its debut album “Curse of the Damned” (Steamhammer Records). “We’re calling it the ‘Final Curse’ so I don’t know — it might be the last time we play it,” said Leatherby, during a phone interview Tuesday from a tour stop in Tulsa, Oklahoma. “We’re playing the album in its entirety. “The album came out in January 2015. It made 30 different Top 10 lists and was picked as album of the year in five different publications. That’s even more impressive because it came out at the beginning of the year and a lot of other bands save their albums for a fourth-quarter release. The album definitely has made an impact. It is an album filled with intense music and powerful riffs. “We write shorter songs than most metal bands — three minutes not five minutes,” said Leatherby. “We recorded the album in late 2014 at Bright Mountain It’s Joe Martin’s studio in Keene, California, which is in the mountains near Tehechapi. We used a lot of vintage gear and they have analog converted there. “We’ve already recorded our next record and we used the same studio. We tried recording it locally in L.A. and it was a pain. When you’re trying to record close to home, there are too many distractions. Going to Keene allowed us to get away from all those distractions. “As of now, we haven’t played any of the songs from the new album live yet — except for one new instrumental. With a one-and-a-half year your, we’ve been playing these songs a lot and they’ve morphed. Now, we’re playing them the way they were recorded. “This is the last tour of this cycle. We’re playing the whole album — which we didn’t do before. We start the show with a couple non-album songs and covers and then the stage set changes. Video link for Night Demon — https://youtu.be/8g9_MVNTzwg. With a musical heritage that features Donny and Marie Osmond, the Osmond Brothers and the Mormon Tabernacle, Salt Lake City is not a place many people would associate with heavy metal music. Fans of Visigoth do not fall into this group. Visigoth is a band from Salt Lake City that released its first EP “Final Spell” in 2012 and its debut album “The Revenant King” in 2015. Its music is not for the timid. The quintet — Jake Rogers (Vocals), Leeland Campana (Lead Guitar), Jamison Palmer (Guitar), Matt Brotherton (Bass Guitar), Mikey T. (Drums) — plays power metal with a force that can keep eardrums vibrating long after the music has stopped. “The metal scene in Salt Lake City — mostly black metal and death metal — is small but tight-knit,” said Rogers, during a phone interview Wednesday as the band travelled from Atlanta to its next tour stop in Raleigh, North Carolina. “We’re a heavy metal band. “Not all of us are originally from Salt Lake City but we’re here now. Lee and I played in a band before Visigoth that was my first real band. It was a traditional metal band — and short-lived. We played only three shows and then our drummer moved away. “A while later when we were at the University of Utah, I called Lee and said I wanted to put another band together but that I wanted to sing instead of playing guitar. We just built the band around that. We got jamming again. “We started by recording a self-financed EP,” said Rogers. “We’re from the middle of nowhere so it took awhile for anyone to notice. The album is mostly old songs. It’s a retrospective of our early years. But, when we signed with Metal Blade, the record company wanted a record. 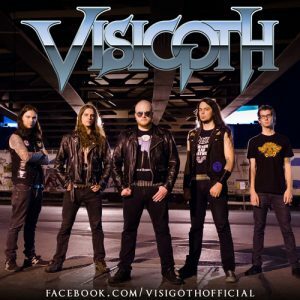 Visigoth plays heavy metal that hearkens back to the golden age of ironclad riffwork and powerful vocals. The five veteran musicians pay tribute to the titans of steel with an earth-shaking sound that shows a deep reverence for their roots. In Visigoth’s realm, there are no frills, no gimmicks — there is only heavy metal. The band’s brand of heavy metal fit perfectly within the ranks of Metal Blade Records, who brought the band on board to release its debut full-length album. Video link for Visigoth — https://youtu.be/2oclDVweTR4. The show at Kung Fu Necktie well start at 8 p.m. Tickets are $10 in advance and $12 at the door. There also will be a few concerts featuring music of a more gentle nature on April 26 with Thirdstory at the Electric Factory (421 North Seventh Street, Philadelphia, 215-627-1332, www.electricfactory.info) and Javier Colon at the World Café Live (3025 Walnut Street, Philadelphia, 215-222-1400, philly.worldcafelive.com). 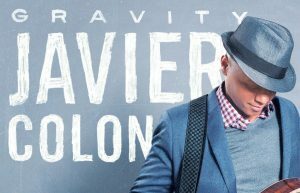 Colon, who was the winner on the inaugural season of NBC’s “The Voice,” is set to take his recording career to the next level with the April 1 release of “Gravity,” his fourth album overall and his first for Concord Records. The 15-song album, on which Colon wrote or co-wrote all but three songs, marks a creative milestone for the artist. The singer-songwriter-guitarist was born in Stratford, Connecticut, the son of a Dominican father and Puerto Rican mother. He pursued a degree in music education from the University of Hartford’s Hartt School. While studying, Javier also performed as vocalist and percussionist in EmcQ, a soul/funk band led by lead guitarist Ian McHugh. His first break came when he was asked to be a vocalist with the Derek Trucks Band from his home in Connecticut. “I joined the Derek Trucks Band in 200 and was with them about two years,” said Colon, during a phone interview Wednesday. After touring with the Derek Trucks Band for nearly two years, Colon left the band in April 2002 and signed with Capitol Records. He released two albums with Capitol Records — “Javier” in 2003 and “Left of Center” in 2006. “I was very inexperienced with the music industry and didn’t know what to expect when I signed with Capitol,” said Colon. “I got released by Capitol on 2006 and was free again. Then, five years went by and I couldn’t land a record deal. “Nothing was working. In 2011, I had one more prospect with Blue Note — and then they passed. I thought that was the dagger in my career — thought it was the end. I had a wife and two kids so I was thinking about doing something else. On June 29, 2011, Colon and Stevie Nicks performed “Landslide” together. At the end of the show, the voting results were announced. With more votes than any other contestant, Colon won the first season and received $100,000 in cash and a Universal Republic recording contract. Later that year, Colon released his third album “Come Through for You” on Universal Republic Records. The album reached the Top in the U.S. Rhythm-and-Blues charts. He since has left that label and signed with Concord Records, the label that released “Gravity” earlier this month. “I cut ‘Gravity’ at a couple places,” said Colon. “I wrote with a bunch of different people and that’s why I used different studios. We cut songs in Nashville and some in New York and others in L.A.
Video link for Javier Colon — https://youtu.be/dITC6CErw3M. The show at WCL, which has Ernie Halter as the opening act, will start at 8 p.m. Tickets are $15. 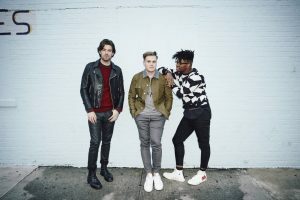 New York-based trio Thirdstory — Elliott Skinner, Ben Lusher and Richard Saunders — has been quietly amassing millions of followers online and selling out major venues in cities nationwide with their inventive and distinctive pop and R&B vocal stylings. The group is now in the middle of a national tour with pop songstress. “It all started in high school,” said Lusher, during a phone interview Friday from a tour stop in Charlotte, North Carolina. “Richard and I met at an arts program in Miami where we were both singing. Richard and Elliott met at a show in New York. “Later, when I was in college at Berklee College of Music in Boston, Richard gave me a call and asked me to sing with them. When we girt together, we realized that it was just very easy for us to sing together. Their humble beginnings included tastefully crafted covers of contemporary artists (Taylor Swift, Ariana Grande) posted on YouTube. It was the Sam Smith “I’m Not The Only One” cover that ultimately landed them a record deal with Verve Records. “When we put the ‘I’m Not The Only One’ up on YouTube, we didn’t have high expectations,” said Lusher, a native of Warwick Parish in Bermuda. “It got five million views in a couple weeks. It was totally unexpected. That was in December 2014. “That was a flag. We realized that we connected with people. Then, we ended up signing a record deal with Verve, which is part of Universal. We were originally signed to a developmental deal. As our videos gained more traction, it went to a full record deal. Video link for Thirdstory — https://youtu.be/M5WB2N6C0HU. Thirdstory will be at the Electric Factory as the opening act for Tori Kelly. The show will start at 8 p.m. and tickets are priced at $37.50. The album was released on April 22 via Crossbill/Stereocilia along with its lead single “Fire Makes.” The loom’s line-up includes John Fanning, guitar, vocals; Lis Rubard, french horn, trumpet, keys, vocals; John Mosloskie, bass, vocals; and Mike Rasimas, drums. “Here in the Deadlights” was recorded and produced by Kevin McMahon at Marcata Recording in upstate New York. “We recorded the album over a long period of time,” said Fannng, during a phone interview Tuesday afternoon. “Kevin has a studio up near Kingston, New York. He produced most of Titus Andronicus’ records. They have a visceral quality to them that we liked. “Our first album came out at the end of 2011 and we toured it until mid-2012. When we got back, we started making the new album in early 2013. The themes on “Here In the Deadlights” revolve around the difficult time that unfolded for Fanning after a life-upending split from his longtime partner and best friend of 14 years, which was followed by the heavy lifting of rebuilding after the collapse. “When my long-term relationship fell apart, it derailed a lot of stuff,” said Fanning. “I wrote all the vocals in the midst of that period. Then, without listening to them, I decided that I needed to re-do them. I love playing live but the recording proves brings out my self-critical nature. “When we went in the studio to make the new album, we had 12 songs but it got over 70 minutes and that was too much. We also had a bunch more stuff that we had recorded that we thought would be an EP. Instead, we ended up with two albums. At the time, I wasn’t really thinking about two discreet groups of songs. “Here In the Deadlights” sees a seismic shift in sound and influence from The Loom’s previous output. The new album takes on a more krautrock-inspired, psychedelic direction that features organs stacked on top of organs, endless tangles of words, and noisy guitars set against ethereal horns, run through delay pedals. “Sonically, things changed a bit in the time leading up to making the record,” said Fanning as he explained how the sonic texture of the new album developed. Video link for The Loom — https://youtu.be/VqDGImRd4UI. 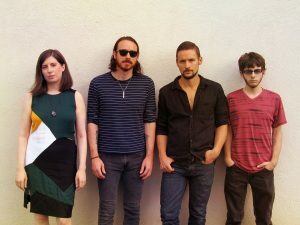 The show at Kung Fu Necktie, which starts at 8 p.m., also features Rabbits To Riches, The Bigness and Flat Mary Road. Tickets are $6. 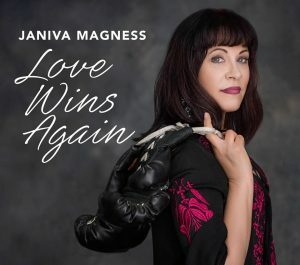 The musical career of Janiva Magness has taken an interesting trajectory over the last 15 years. 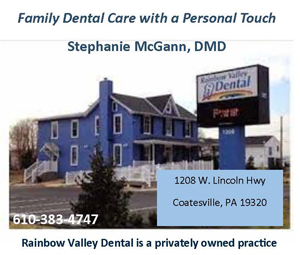 Magness, who will be performing on April 27 at the Sellersville Theater (24 West Temple Avenue, Sellersville, 215-257-5808, www.st94.com), released her first two albums — “More Than Live” (1991) and “It Takes One to Know One” (1997) on her own label Fathead Records. After making three albums on Blues Leaf Records and recording two for NorthernBlues Music, she took her talents to one of the premier blues labels in the world — Alligator Records. Magness released three highly-acclaimed albums on Alligator Records starting with “What Love Will Do” in 2008. Next was “The Devil is an Angel Too” in 2010 and third was “Stronger for It” in 2012. Coming full circle, Magness released last two albums — “Original” and “Love Wins Again” — on Fathead Records/Blue Élan Records. “I was very happy to have been with Alligator for six years,” said Magness, during a phone interview Thursday afternoon from a tour stop in Port Angeles, Washington. The 11 core songs and two bonus tracks on “Love Wins Again” are built on a sonically sophisticated architecture that’s in full service of Magness’ remarkably flexible and generous voice — a voice which can as smooth as honey or as rough as needed. “Love Wins Again” shatters genre barriers by melding elements of Americana, soul, rock, pop, country and blues. The album’s title is a mantra that resonates throughout — the concept of love as a physical, psychic and spiritual force that has the strength to conquer negativity, sadness and personal demons. “I’m an extremely contemporary blues artist — blues, soul and folk,” said Magness. “As a performer, the lines between genres get blurred. With ‘Original,’ it wouldn’t have fit with Alligator. “Making ‘Original’ was an exciting process and the album did very well. Now, ‘Love Wins Again’ is a very good for where I’m at. It debuted at Number Five on the Billboard charts and is one of the top-played blues albums on radio right now. “What that means is that it’s resonating with people. ‘Love Wins Again’ is a logical progression from ‘Original’ — a place where there is tremendous joy, healing and a lot of love. Video link for Janiva Magness — https://youtu.be/a0ZSJAkbnV8. The show at Sellersville, which has the Jack Semple Band as the opening act, will start at 8 p.m. Tickets are $19.50 and $30.